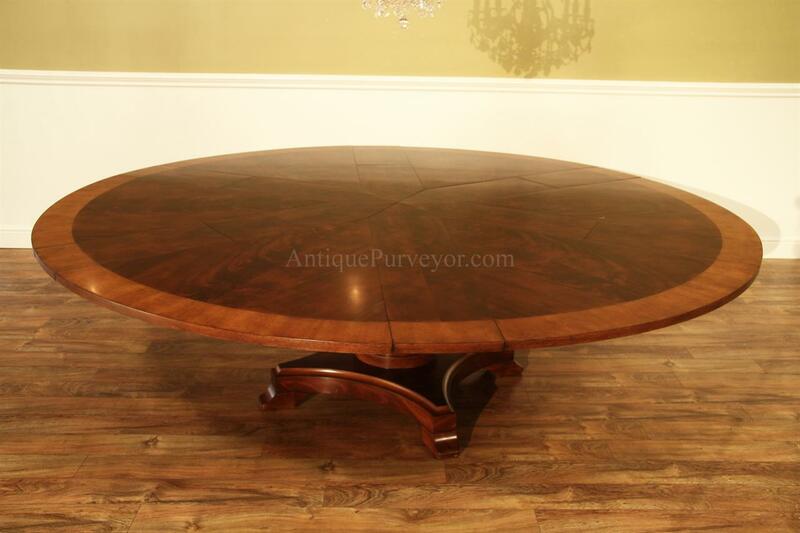 Extra large Jupe table. 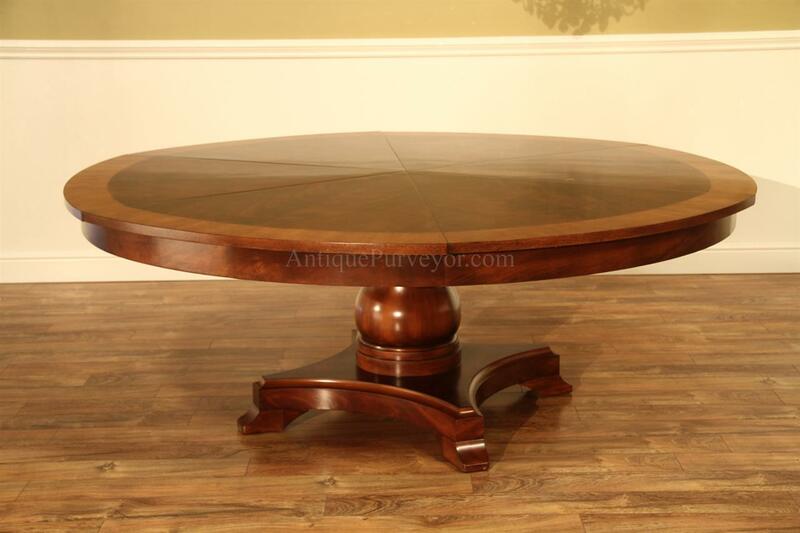 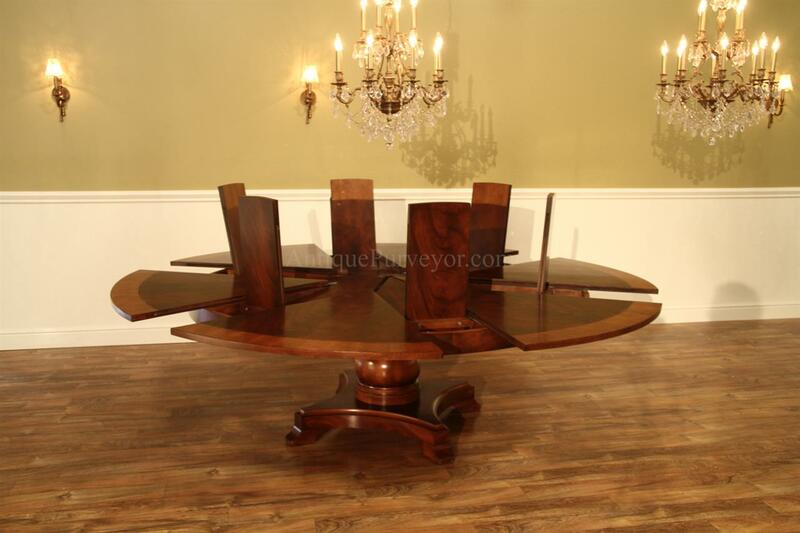 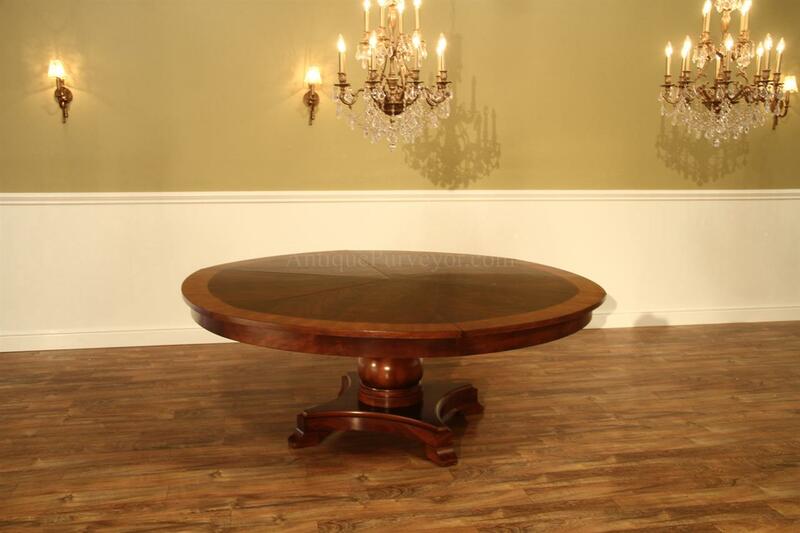 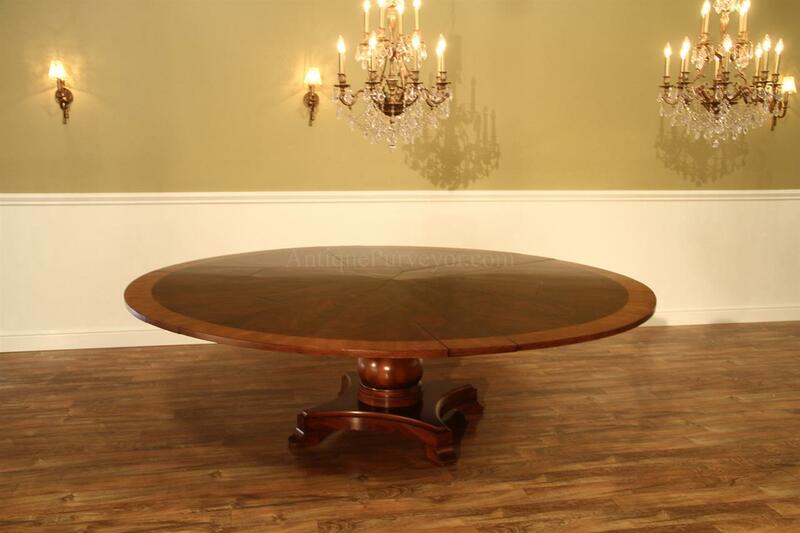 Banded flame mahogany pedestal table with self-storing expansion leaves. 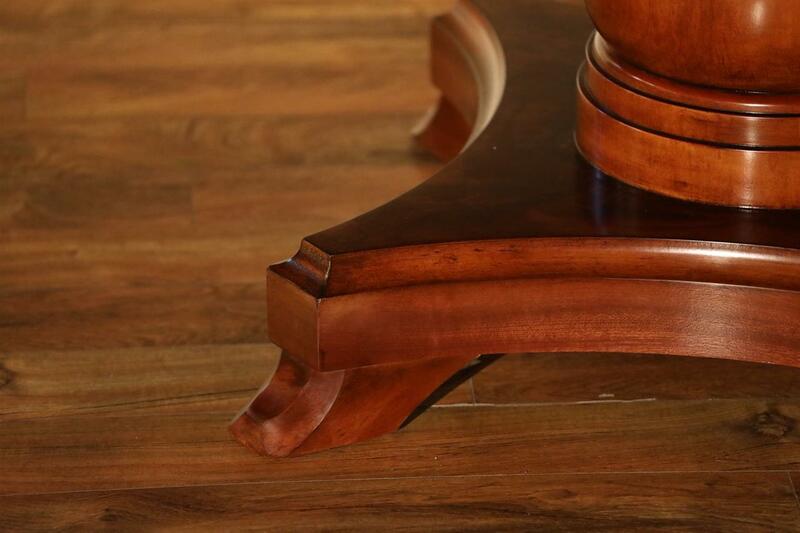 Heavy solid Beechwood pedestal. 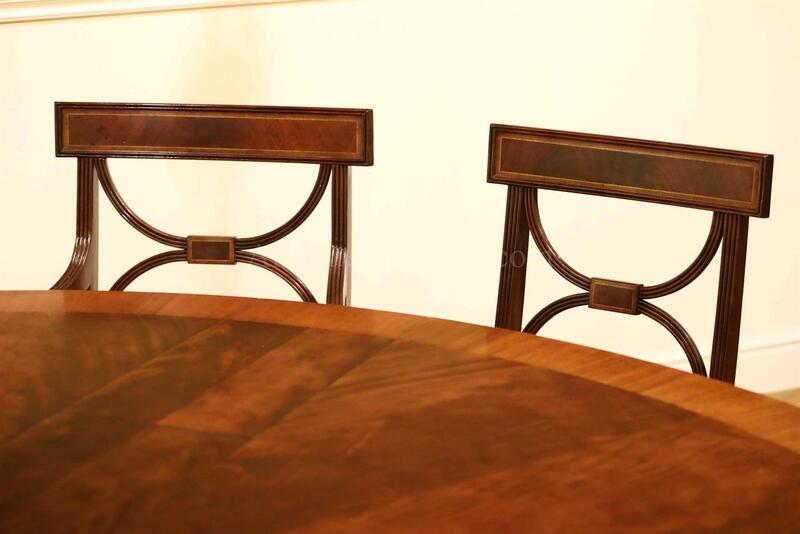 Table seats up to 10 to 12 people. 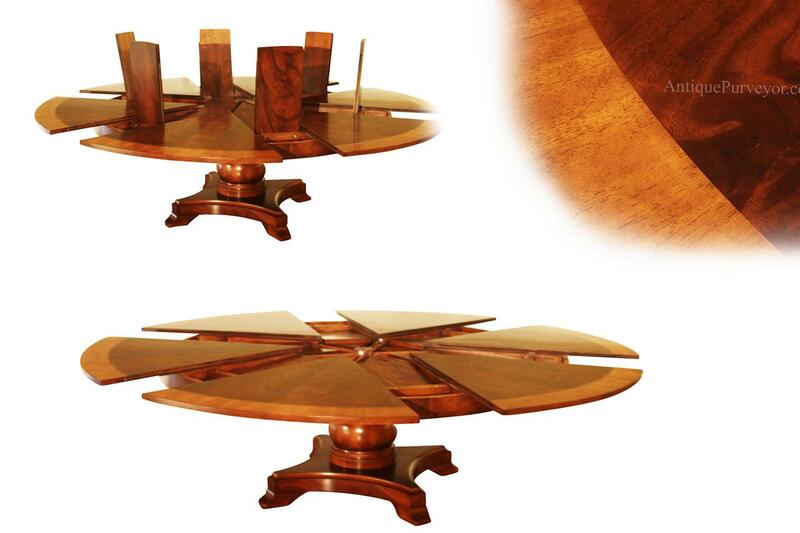 This table is our own exclusive design which is manufactured just for our store. 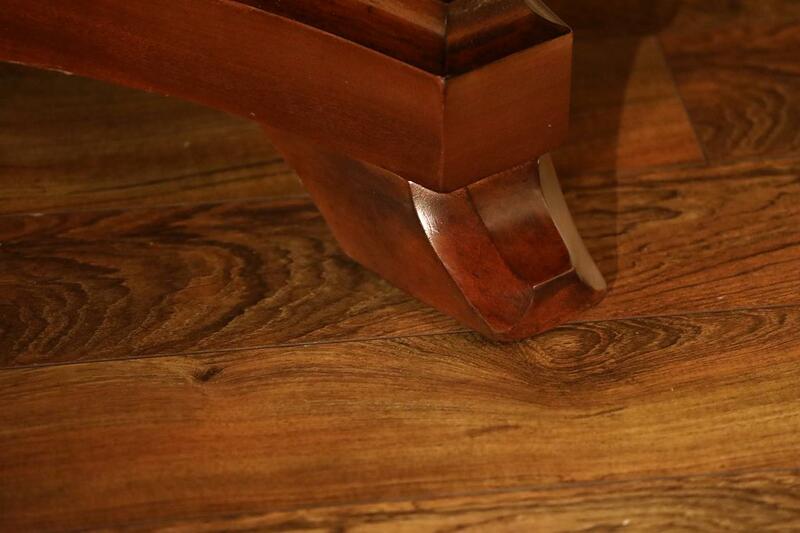 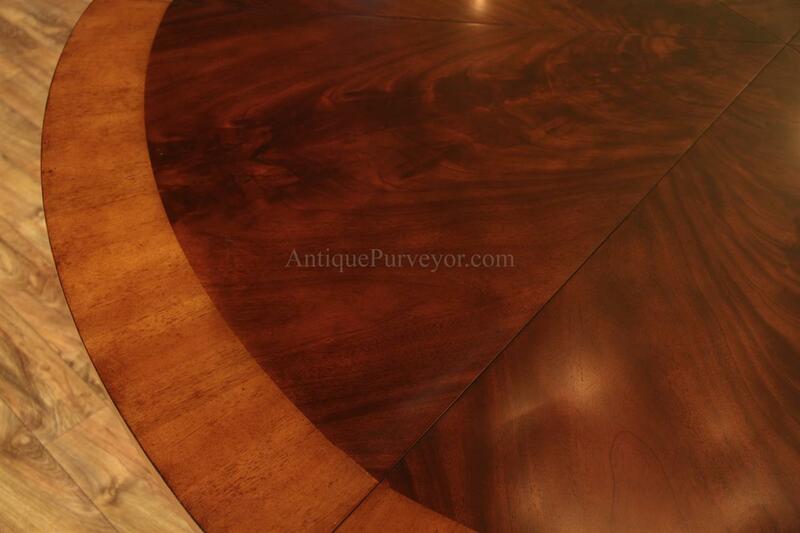 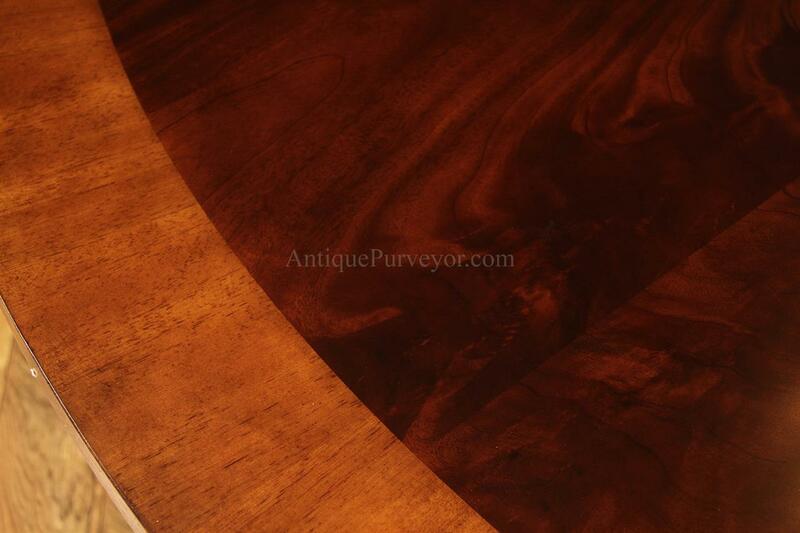 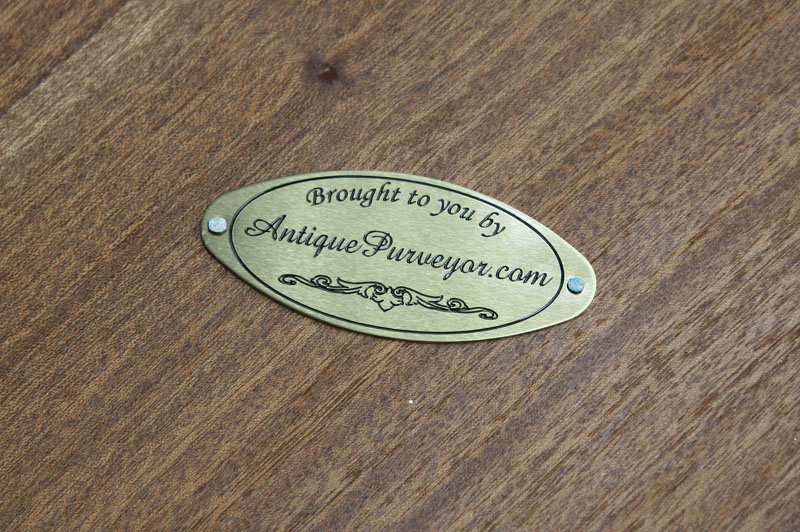 Table has a wide lighter brown satinwood style banding around a traditional pie cut flame mahogany field. 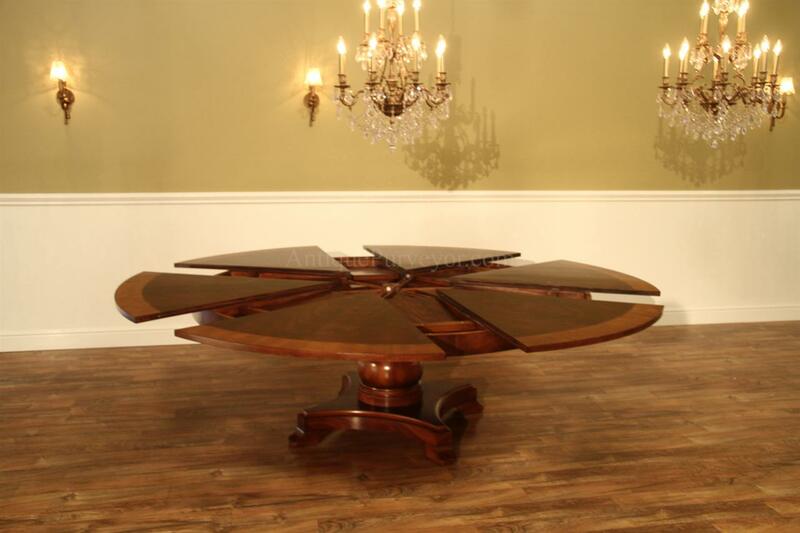 This is a designer grade table for higher end homes. 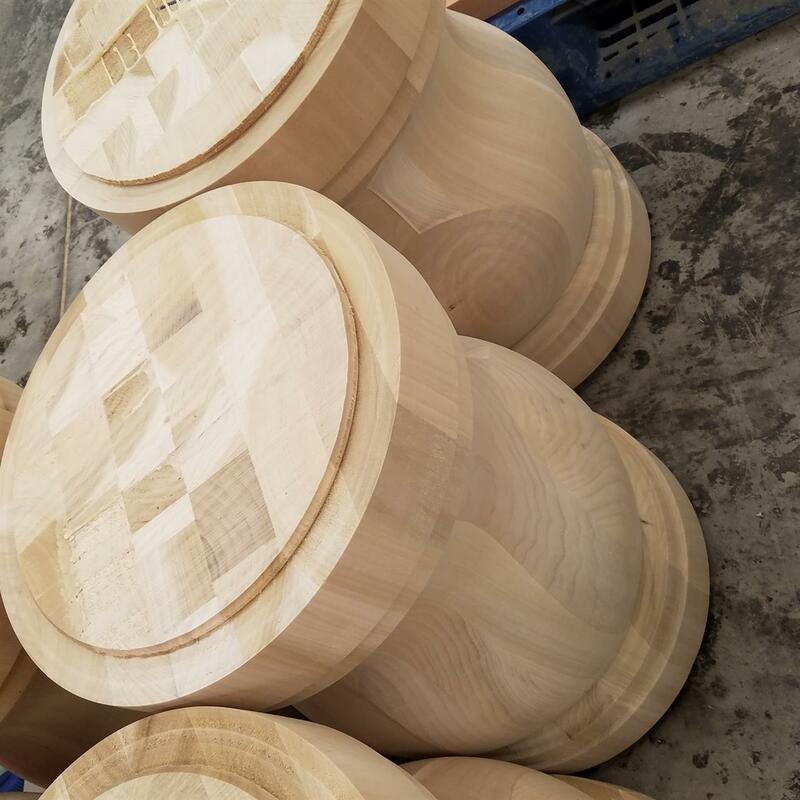 I have personally visited the factory overseas and work closely with the manufacturer for quality control purposes and this is a table. 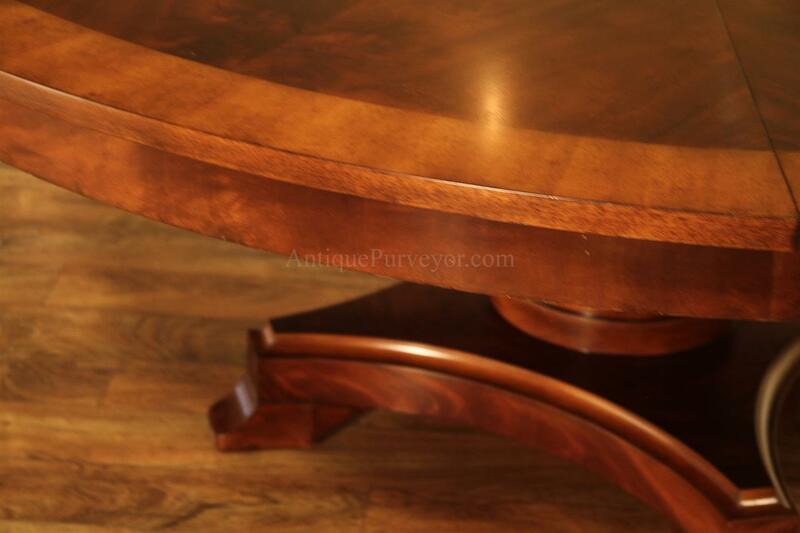 The Veneers are pressed with a proprietary dry glue and this quality is hard to find in the marketplace. 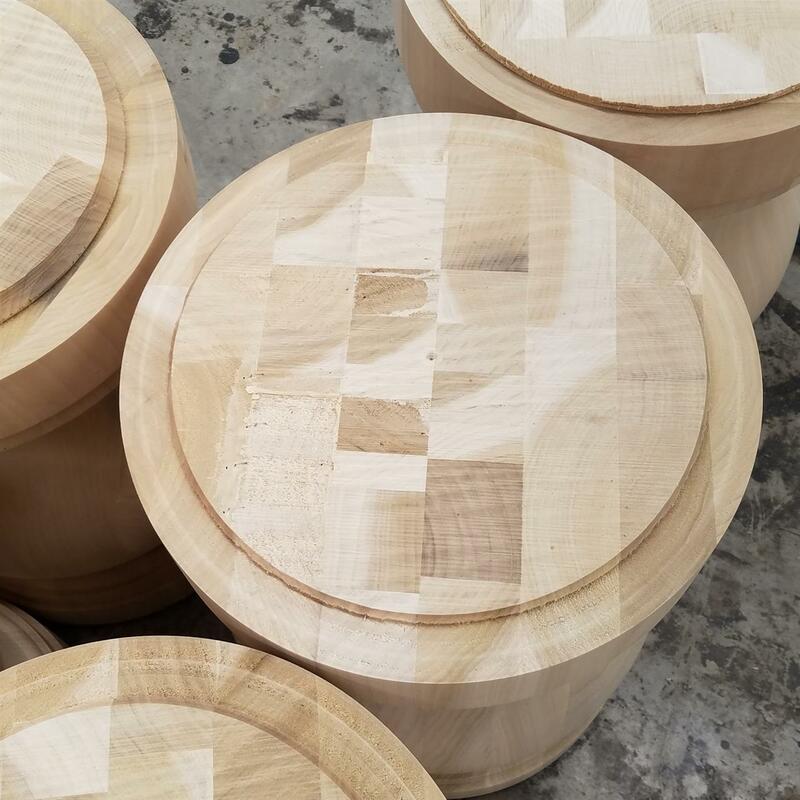 Easy to use self-storing leaves with minimal moving parts.This manufacturer has very high standards.